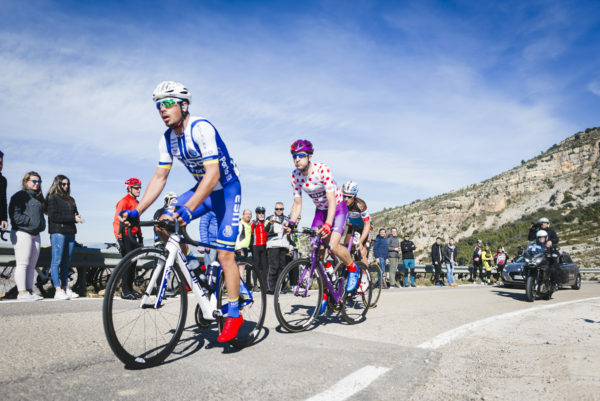 The queen stage today of the Vuelta a Valencia was the first proper battle of the European season. Dan Martin looked under pressure but he fought all the way while Adam Yates was the man turning the screw. 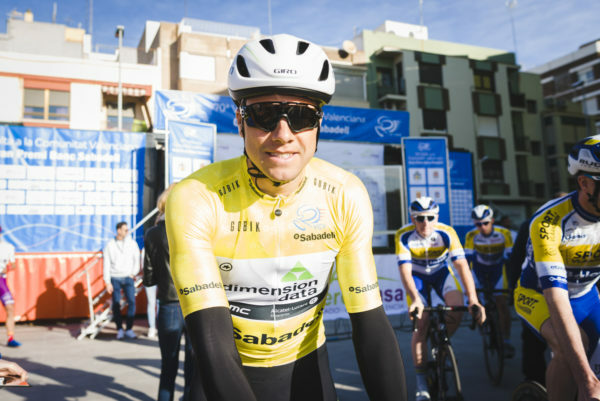 Edvald Boasson Hagen (Dimension Data) in yellow at the start, but not at the end. 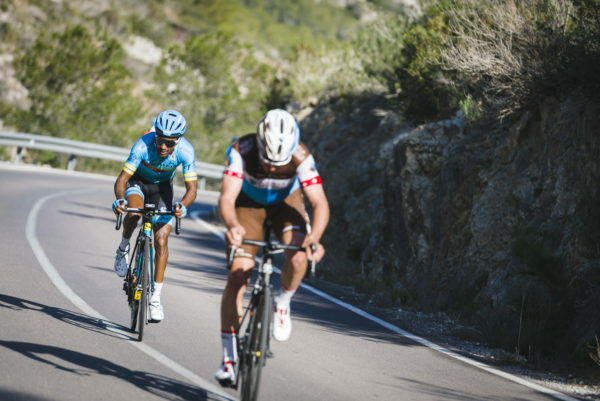 The breakaway: King of the hills Diego Rubio (Burgos-BH), Silvan Dillier (AG2R La Mondiale), João Rodrigues (W52-FC Porto). 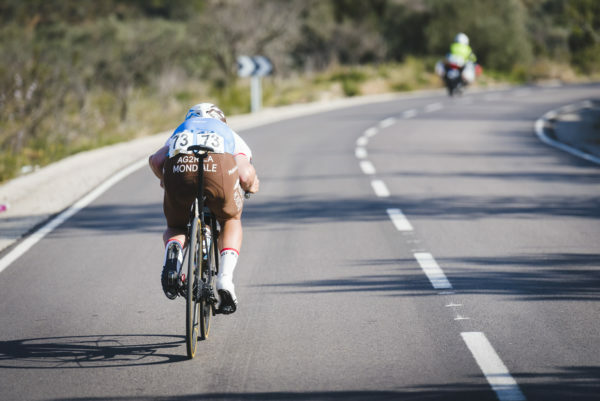 Dillier pressed on alone from the breakaway for a long time. Merhawi Kudus (Astana) was first to catch the lone leader on the 4.2km climb to the line. 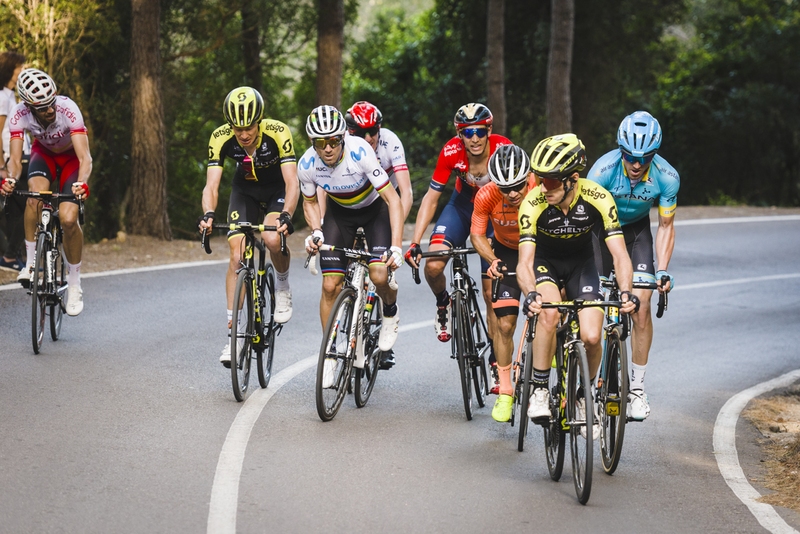 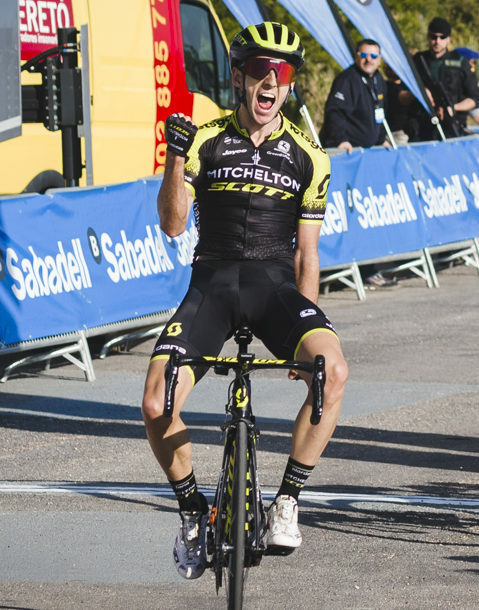 Adam Yates really took the race on up the final climb; doing all the damage. 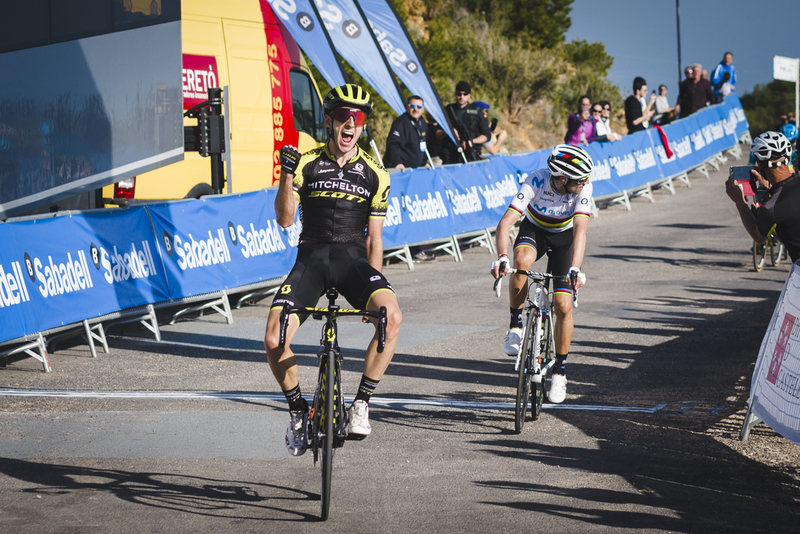 Yates was delighted with his victory from Valverde.